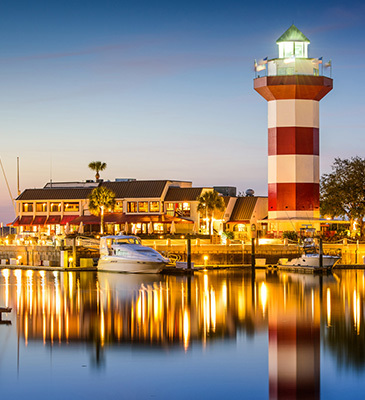 With Southern charm, big-city amenities and deep-fried peanuts, South Carolina has it all. Take your team on a tour of America’s First Museum in Charleston or take a stroll down The Battery to admire the historic homes that line the promenade. Talk shop over some famous South Carolina barbecue or ferry out to Hilton Head Island and discuss next year’s budget over 18 holes of golf. Stop in to the historic Beacon Drive-In for a Chili-Cheese A-Plenty in Spartanburg after a long day of successful meetings or peruse the curiosities of the Ripley’s Believe It or Not Museum with your team in Myrtle Beach. With a plethora of outdoor activities like kayaking, zip lining, hiking and golf from which to choose, PRA is sure to find the perfect team-building excursion for your program, or we can plan a culinary exhibition and private museum tour for your group. Hold your next event in one of the many conference centers or rent out a unique space like the South Carolina Aquarium. Whatever your team enjoys, we’ll help you find it in South Carolina.